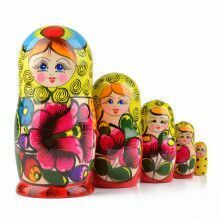 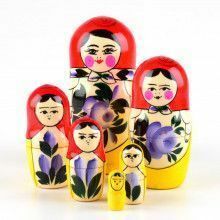 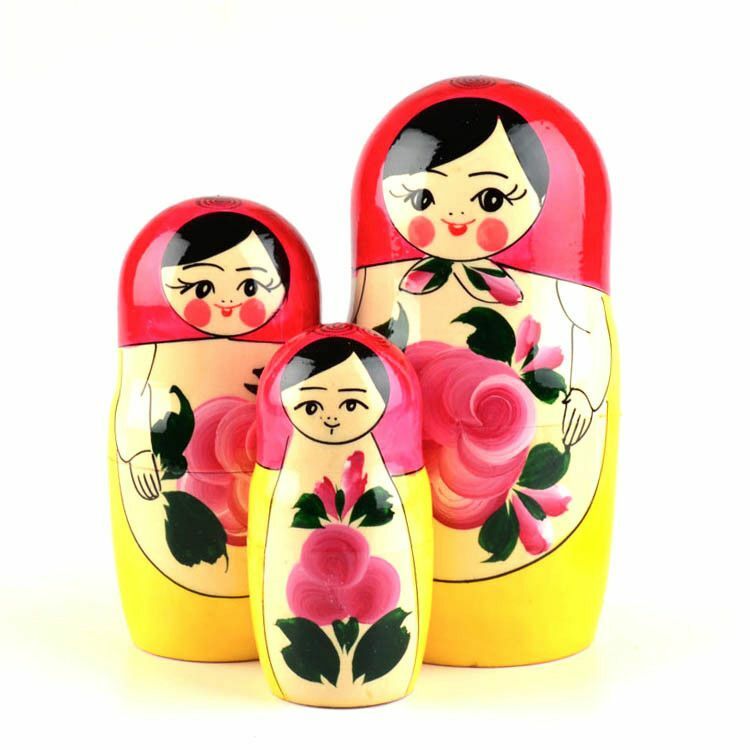 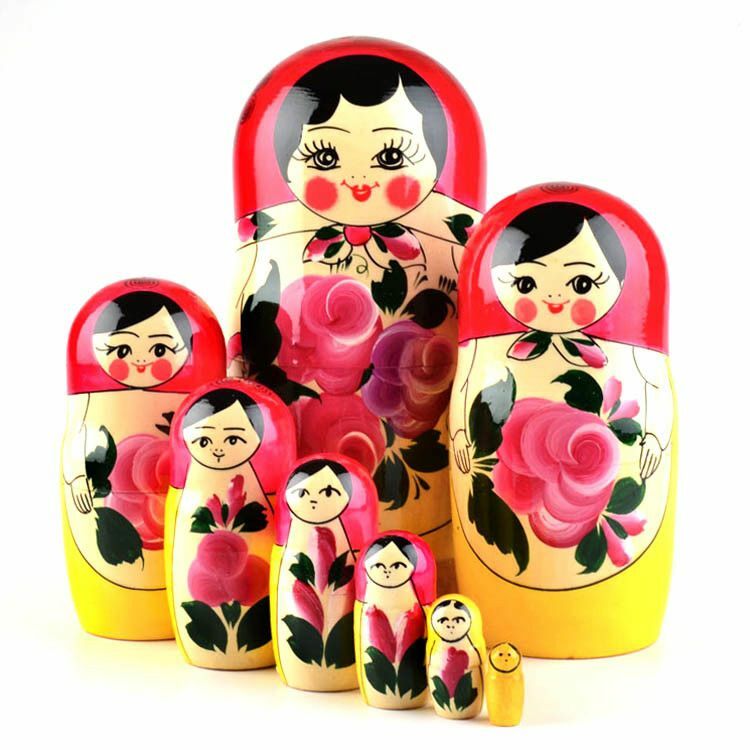 This traditional looking nesting doll showcases pretty pink flowers with a hint of violet colored flowers. 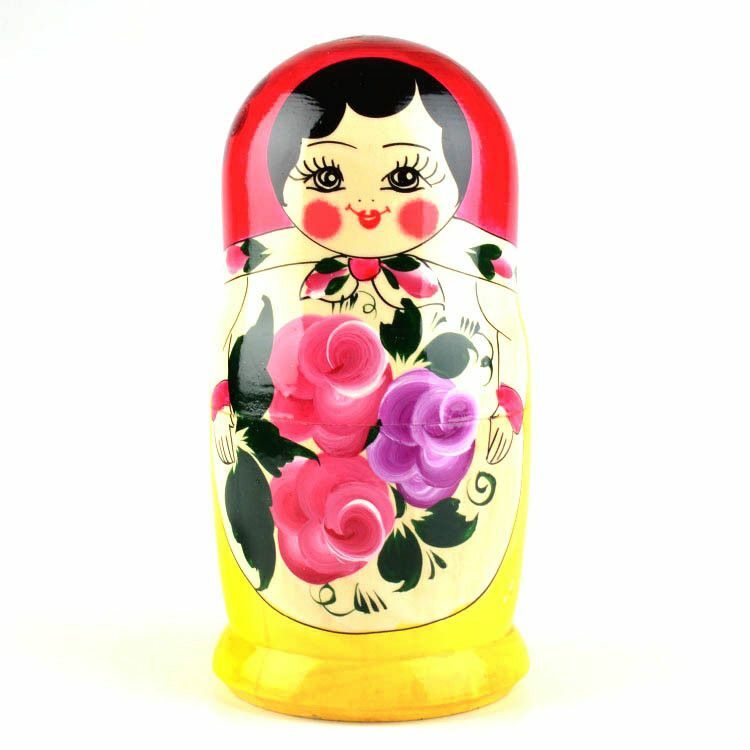 It stands about 8 1/2" tall and was hand-crafted from wood, painted with tiny brushes, and gloss-finished. 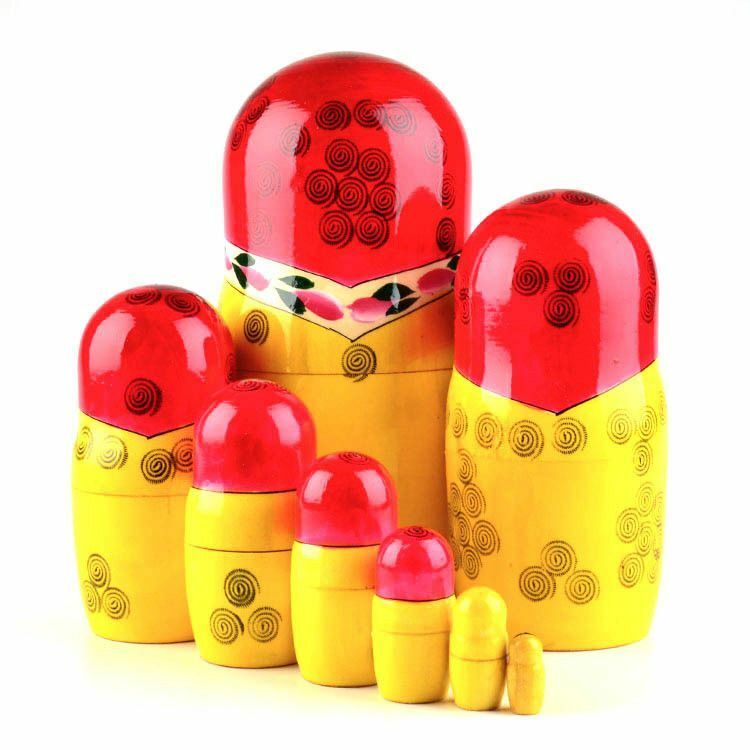 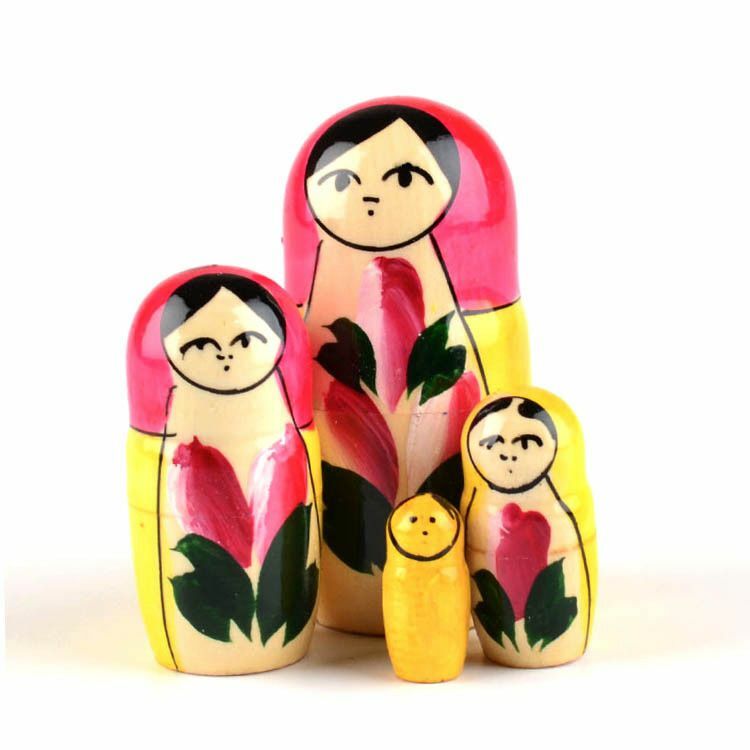 This colorful and happy looking matryoshka is sure to fill any home or office with joy!